Target areas include backwater and near shore fishing. A 30% deposit is required to guarantee your reservation or you may pay securely here in full by PayPal. We accept: Cash, Visa, Mastercard, PayPal. You can cancel or change your booking free of charge up to 48 hours before the trip date. 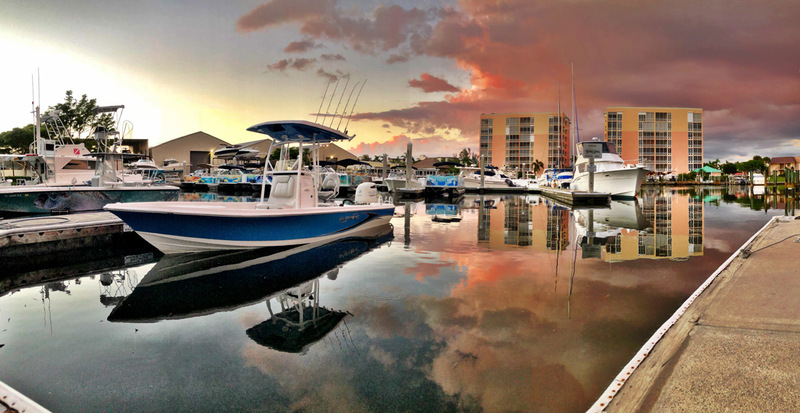 Transfer from hotels or jetties in Fort Myers Beach to departure site is available and included in trip rates. 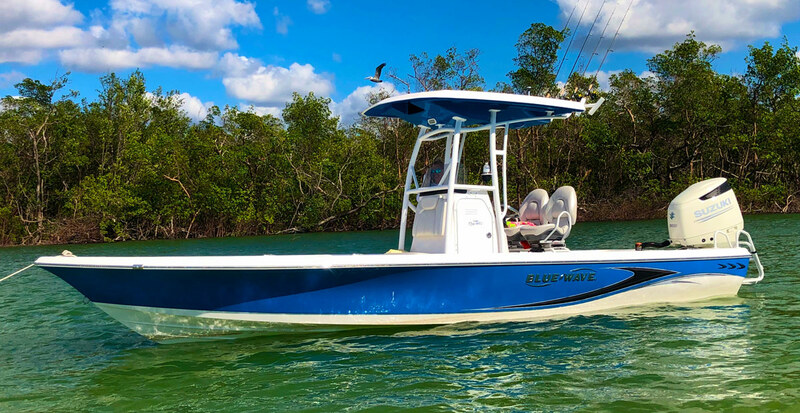 Join Captain Chris on his new boat, a 2018 24′ Blue Wave with a 300hp Suzuki outboard. The boat drafts (floats) in 12″ of water, has an 8’6″ wide beam. It has a top speed of 63mph, and is a very dry boat that cuts through rough chop. Stay comfortable in the 2 swivel bucket seats at the console, plus there is cushioned seating in front of the console. Enjoy the hard top T-top for shade, and plenty of dry storage for your important items. Store your fresh catch in the Fish box, and enjoy food and beverages in our separate ice cold cooler. Let’s get out on the water and catch some fish.